Hey guys, how is your new year going ? Exciting or feeling little Blue ! I hope all going well for you. 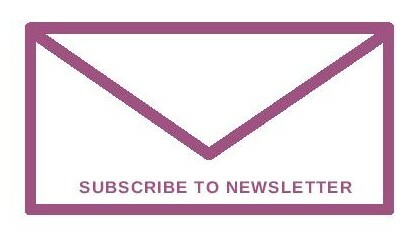 Lol, almost forgot that we are back to reality, holiday season is over, days are gone when we were snuggling in the duvet in our pyjamas, overdoing with TV and eating and browsing the sales online. Yep, life is back to normal. Over the holiday period along with sheer laziness I cooked and baked a lot, while kids were on three weeks holidays I cooked everything from scratch and not one dish was repeated, except Chapatti, my sonny boy had to have his roti for the dinner. So many new dishes and few firm favourites of our daughter's were prepared and devoured by us. 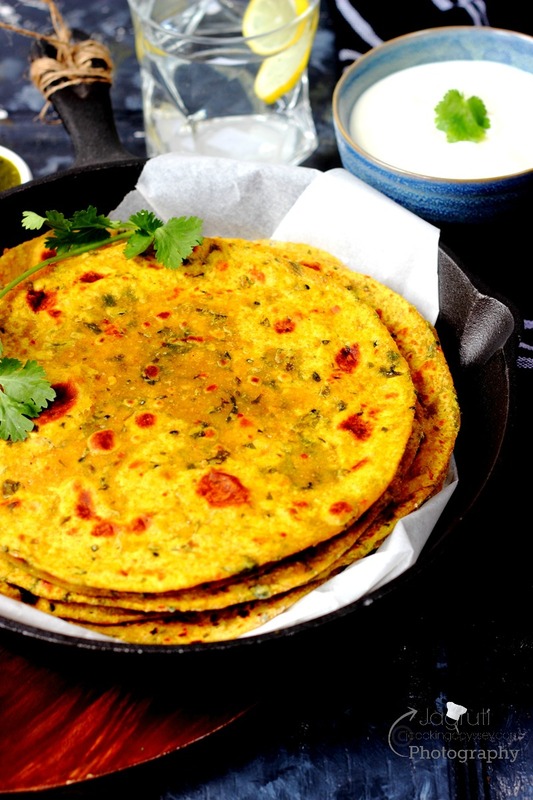 One cold morning family were in treat with Multigrain Butternut Squash Achari Thepla for the breakfast. 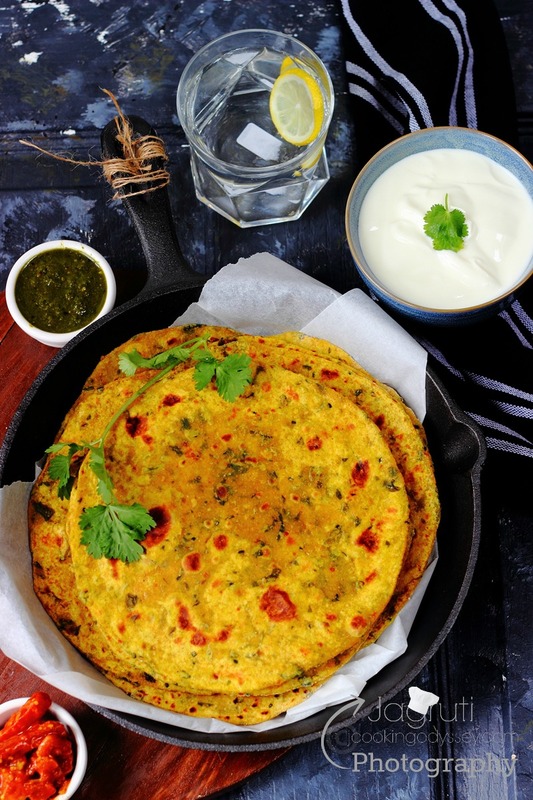 This dish is not new to me, my mum used to make Pumpkin Paratha. 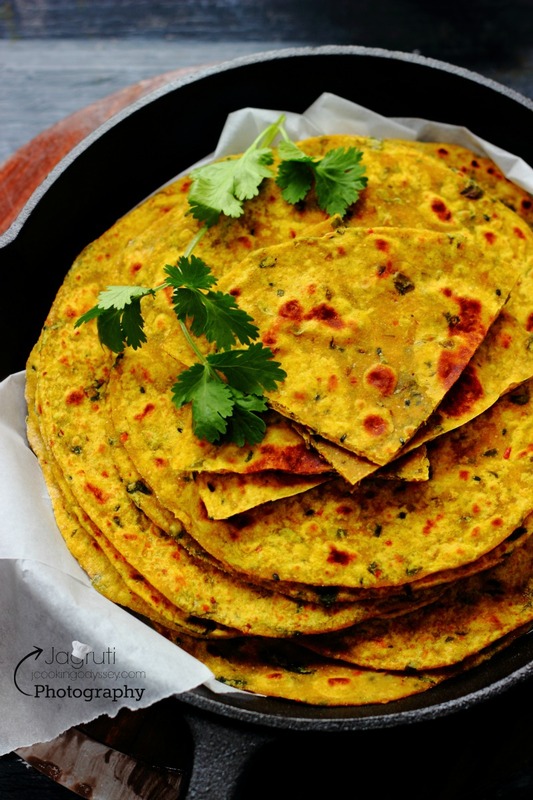 She wouldn't make specially, but if any Pumpkin Sabji left over, she would add Wheat flour and few masala and prepare delicious paratha for us, however my recipe is little different than hers. I roasted Butter nut Squash, added fresh methi leaves and I used Pickle masala from the ready pickle and Kalonji seeds. Many times I add fresh spinach, omit pickle masala and add crushed green chillies too, it depends on my moods and what is available in the fridge. I know that my family loves anything with pumpkin, even we just roast any squash with little seasoning and finish in few minutes, If this happened to you then can check out my other recipes like curries, raita, soups and Falafel made with Butter nut squash, Mixed squash and pumpkin . In the cold weather Paratha or Thepla works like a magic, no one will say no to hot and steamy Thepla, we enjoyed a lot. 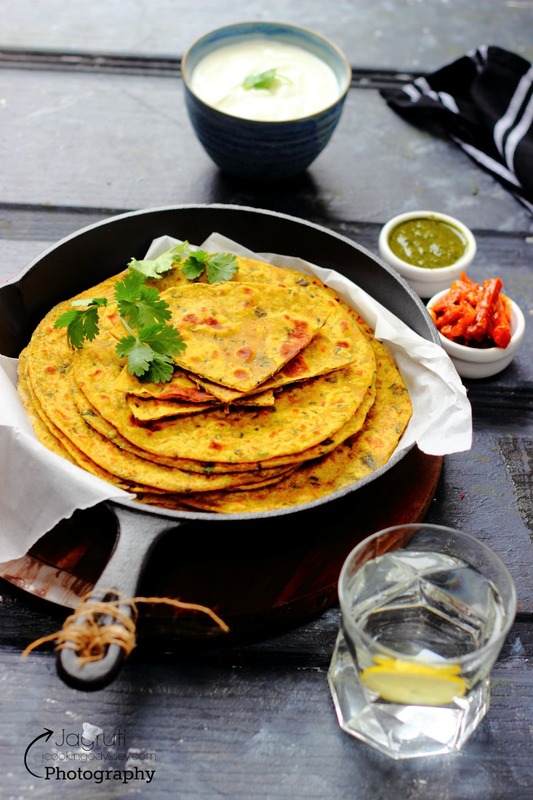 These Squash Achari thepla so easy to make, soft and very little chewy inside, little crispy outside and without a doubt so nutritious and flavoursome. Devour with raita, pickle, or hot cup of chai. Wash and cut half the butternut squash and deseed, no need to peel. Rub little oil and bake in the oven for 40-45 minutes or until tender but does not get burn. Remove roasted squash from the oven, let it cool and scoop out all the flesh from the squash. Place in a big bowl, add all the other ingredients and 3 tbsp. oil. Combine everything and with very little water knead semi stiff pliable dough. Cover the dough with clean kitchen towel and leave it for 10 minutes. 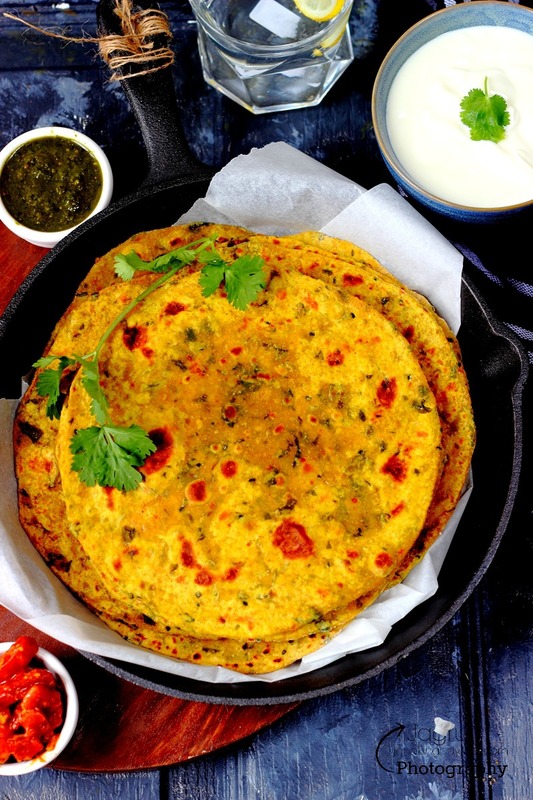 When you are ready to make thepla, once again knead dough for one or two minutes. Place a Thepla on the griddle and cook for 20 seconds, or until the top starts to brown and slightly bubble. Turn the Thepla over using a spatula, apply little oil and continue cooking for about 30 seconds, or until brown spots appear. Keep each thepla warm, while you repeat to cook them all. lovely butternut squash theplas. I love how versatile theplas are as you can add practically anything in them. Oh these look sooooo good! 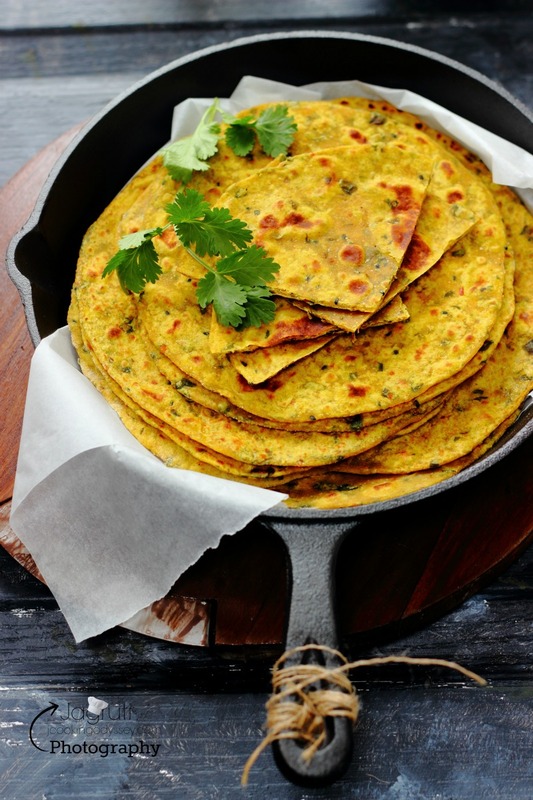 I love paratha, and you make them seem easy! 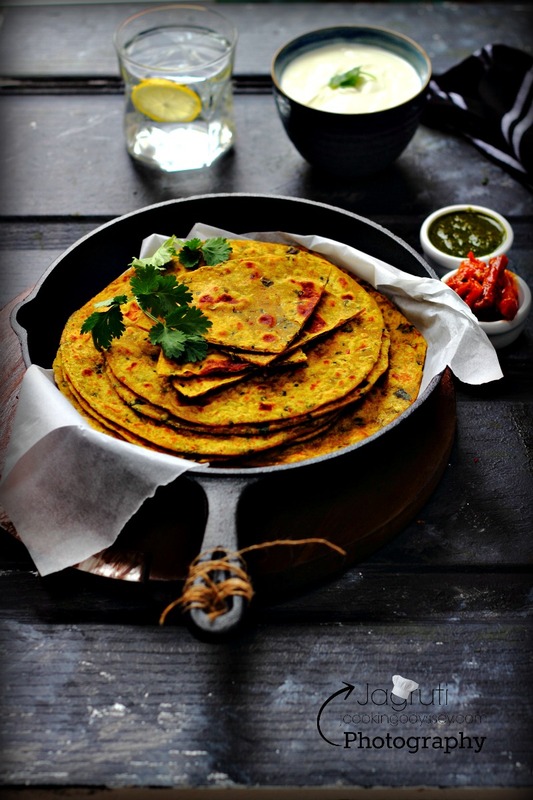 These photos are so lovely, paratha is so tasty! If there's anything on earth I can't resist, it isn't chocolate..it's BREAD and Indian bread is a total addiction to me!! Now with squash, I need to make it asap!! You make everything look so delicious! I can't wait to make it as you make it look so easy!! Another winning recipe Jagruti!! I'm bookmarking this for when the pumpkin season hits us... 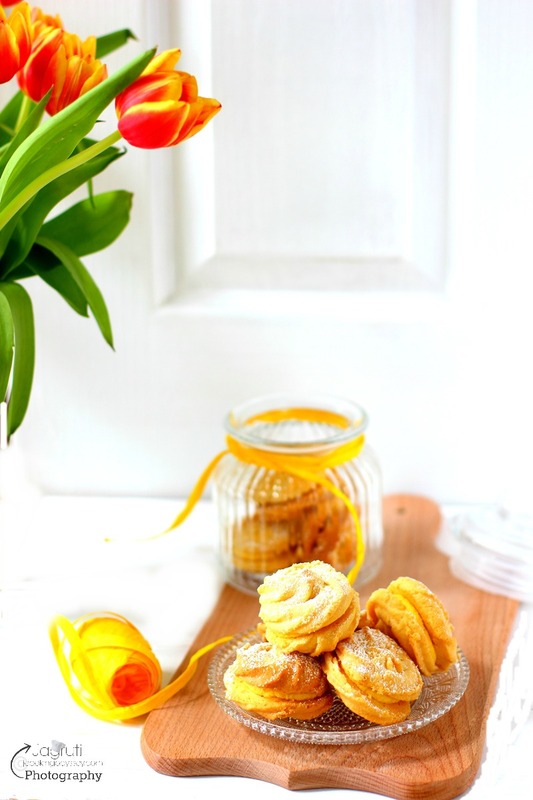 I cannot wait to taste these!